Are you the owner of a Rolex Sea-Dweller and want to know a bit more about its history? Or maybe you are looking into buying a used Rolex Sea-Dweller and are curious all the same? The story goes that back in the 1960s professional marine divers were in search of the perfect watch for helping to keep safe in 1,000 feet deep water. The keeping of time is an essential element of their work, and there was really no watch on which they could truly depend. Rolex put on their thinking caps and worked to develop a watch that would exceed their needs. In 1967, the company released the Rolex Oyster Perpetual Sea-Dweller Submariner 2000. The watch can be used at depths of up to 2000 feet! To accomplish this feat, Rolex had to increase the thickness of the crystal to protect the watch face. Later models incorporated a few amazing features including the helium escape valve for saturation diving. Helium escape values are essential when divers spend prolonged hours at great depths. Because helium atoms are ultra-tiny, they can easily enter a watch. Rolex’s Helium Escape Valves (HEV) are spring loaded to release helium and other gases so the crystal doesn’t crack due to pressure. 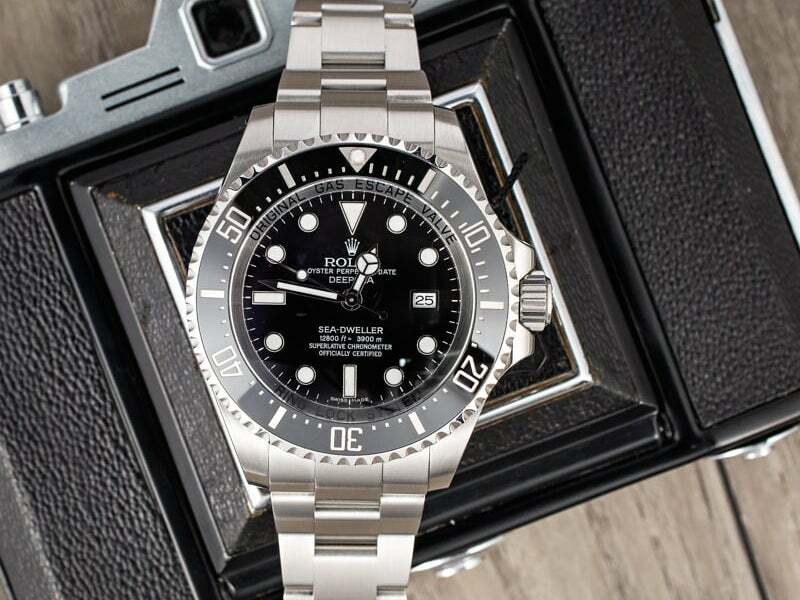 As time progressed, Rolex upped the ante by releasing the Sea-Dweller Submariner 4000 that can be taken down to 4,000 feet! Eventually the James Cameron inspired Sea-Dweller reached a new record. The James Cameron Sea Dweller is able to go to a depth of 12800 ft. into the ocean. Rolex continues to push the limits. Whether land or sea, it is just a matter of time. 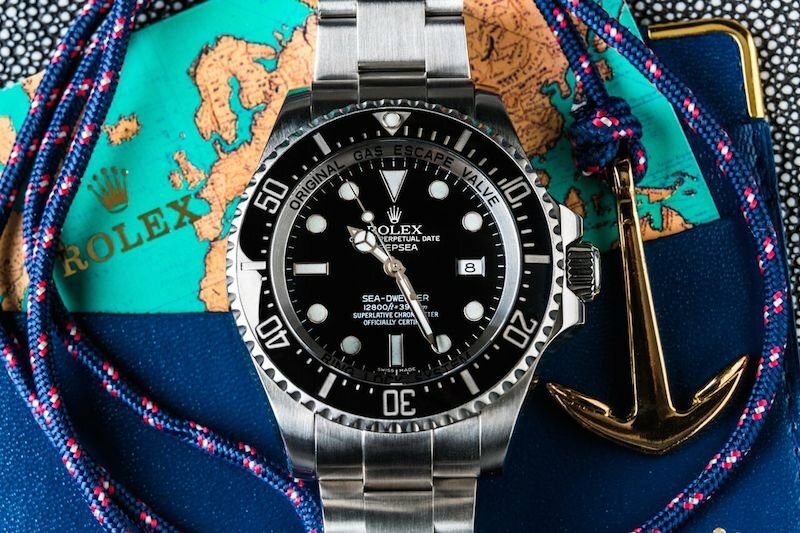 The Sea-Dweller is a perfect example of how Rolex takes the art of watch making to another level, by trying to solve problems faced by professionals and adventurers from all over the world. Rolex integrates technology to push their watch and the brand forward. 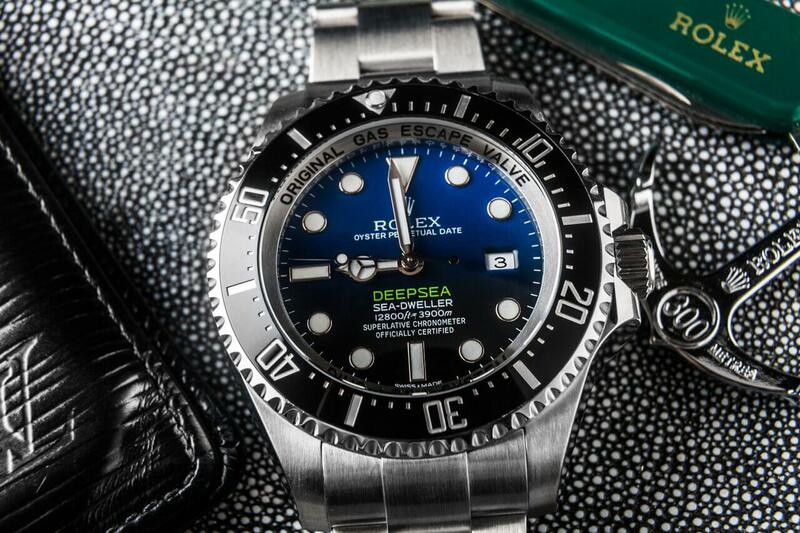 If you are thinking of purchasing a used Rolex, the Sea-Dweller is one that you should surely consider. It’s rugged, yet classy design is perfect for life in the sea, at the office, or in town. The beauty of such a watch lies in its rich history and unparalleled quality. You won’t be able to leave home without your pre-owned Rolex watches!